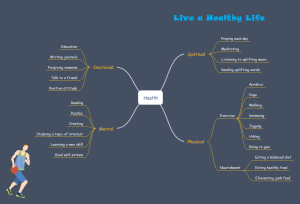 A 100% free mind map tool that is easy-to-use yet powerful. The predefined mind map symbols, prepared templates and advanced formatting tools enable users to create mind map faster than ever. 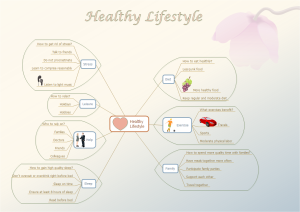 A mind map is a graphical representation of ideas or topics in a radial, non-linear manner. Mind maps are used to visualize, organize, and classify ideas, making them perfect for study aids, organizing information, problem solving, writing and making decisions. 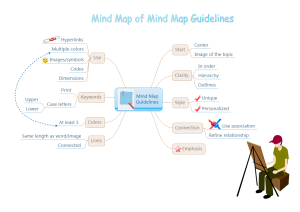 The term "mind map" was first popularized by British popular psychology author and television personality Tony Buzan. 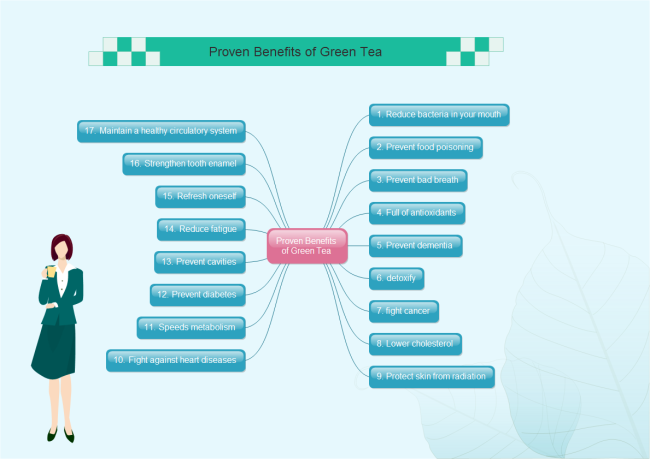 Since then, mind mapping was widely used in the area of both business and education. 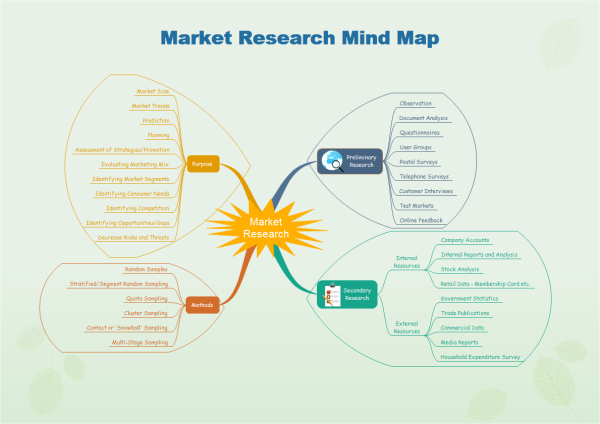 In business field, mind mapping helps the organization to brainstorm products, set strategy, plan projects, and more. In education field, mind mapping helps students to retain information through interactive learning. 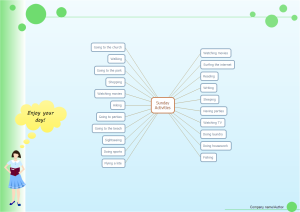 Using powerful software like MindMaster to create mind map isn't difficult at all. It is 100% free. Included are free download, free symbols and free templates. Try it before you buy it. No forms to fill no gimmicks and no strings attached. 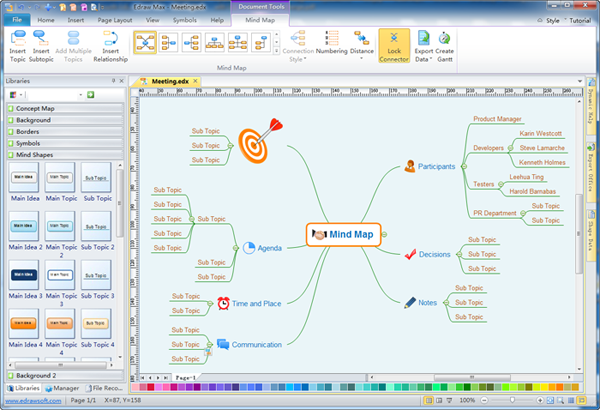 With Edraw mind map maker, you can complete a mind map, simple or complex, more than 300% faster. It automatically adds symbols and connectors, assigns the right position, generate text boxes, plus many more powerful tools designed to keep things simple. From Edraw, you can not only get mind map symbols with auto generation function but also various shapes and clipart to make your mind map unique. Every time you open the mind map stencil, the Symbols library appears next to the canvas. Shapes from this library can be directly inserted into a mind map shape. The inserted Symbols become a glued part of the mind map and will move in tandem with the diagram. Searching for mind map examples? We have a plenty of featured templates. All templates are elaborately designed, well-formatted, printable, editable and sharable. Click on the images below to view the large versions. Speed up your process to create mind map by downloading these templates. 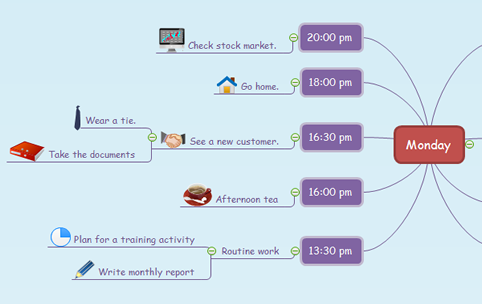 Spruce up your mind map by modifying them with beautiful backgrounds, symbols and clipart. Please refer to article: Automatic Layout of Mind Map for more information. 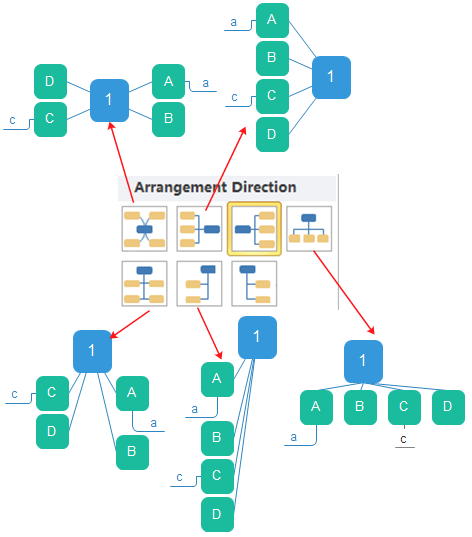 Edraw offers you totally free yet advanced mind mapping tools for more effective mind maps. By following the basic principles and useful mind mapping tips, your mind map will surely amaze the audience effectively.